Tag Archives for " Car Maintenance "
Shortly after the storm, Texas World Speedway began to house about 10% of all flood damaged cars from Hurricane Harvey. Hurricane Florence was one of the worst storms to hit the Carolinas in years. The coastal region experienced large amounts of flooding, and as a result many cars were terminally damaged in the process. Unfortunately, flood cars are the automobile version of Frankenstein‘s Monster — they commonly are refurbished and put back out on the street, despite being unsafe and needing to be in a car graveyard. You plan on being in the used car market in the upcoming weeks, be aware of the potential of buying a flooded car and know the signs and symptoms to look for. Salvage Titles are a great way to find flood vehicles, but it is flawed system. Any car effected by a flood is considered a total loss, and any that go back out on the road wind up with a salvage title… that is, if it was reported in the first place. While many auto owners will do what is right and report to their insurance companies, many will attempt to hide any damage on the vehicle and resell it as if the vehicle was never involved. Remember, a clean title does not necessarily mean a clean car. 2. Your Senses are Your Friends. While some may go above and beyond to hide flood damage, shoddy jobs are easy to detect with your eyes and nose. Does the car smell moldy? Does the car smell like a air–freshener–bomb went off inside, like they‘re trying to hide a smell? Does the carpet have stains that don‘t look like a drink spill? Are there stains on the roof? Have the rugs been recently replaced? Do electronics not work? If your answer to questions like these is “yes” you should probably run. 3. Deals so Good, They‘re Fishy. Check and see what cars are going for in your area with national evaluators. For example, a base–level 2013 Toyota Camry LE with 80,000 miles is currently worth $7,000–8,000 in “Good” condition According to Kelly Blue Book. If you see one that hit the used car circuit after mid–September and it only costs $4,000, you‘ve probably got a flood car. The easiest place to sell flooded vehicles is in a place that did not flood. While Mint Hill did receive an average of about 9.5 inches of rain during Florence, our weather was considerably less violent than that which hit the coast. Due to the fact that we had minimal to no flooding, used car sellers may attempt to pedal cars in our area — after all, why would we expect to be buying flooded cars if we didn‘t get flooded? If a car in a flooded area didn‘t have damage to the cabin, many sellers think they‘re in the clear. However, flooding does just as much damage to frames and engines as it does to interiors, and that‘s where the real danger lies. Flooded engines commonly act like lemons (If you missed our article about those, head over to www.autorepairminthill.com to catch up!) and cars with frame rust are extremely deadly in crashes. Take a peek under the hood at the engine and look under the vehicle at the frame. If you see any rust, run. Like with any list, we have not covered every possible sign of flood damage, so be sure to check the news for ways to find flood cars that may not have been covered in our article. Most importantly, stay safe! 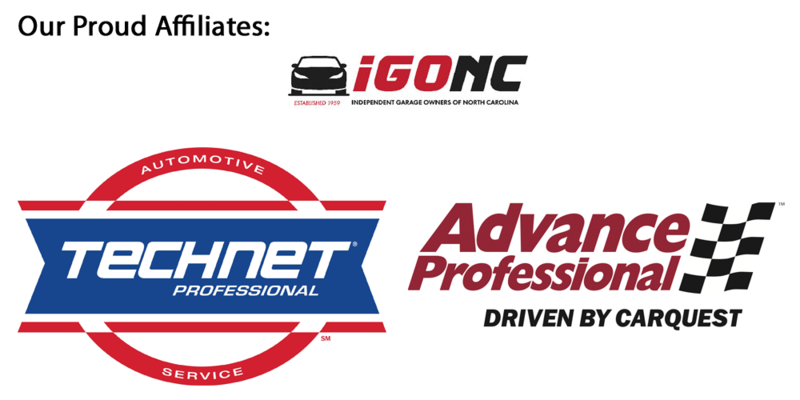 If you have any questions, feel free to call us at 704-545-4597, email us at kenmanchester1@gmail.com, or send us a message on Facebook at facebook.com/ManchesterAutoandTireOfMintHill. Have you ever been in the process of buying a new car, and during the process the salesperson says “be sure to get your car repaired here so it will be under a warranty!” This is a sales tactic dealerships have said for years, that they could do something no mom-and-pop shop could – offer a warranty that worked nationwide. While once upon a time this was the case, for years now that statement has been untrue. Independent auto shops can offer nationwide warranties just like large chains and dealers. While dealers and chains offer warranties through their parent company, independent shops offer warranties via their parts suppliers. By having a membership in one of these programs, independent shops agree to use a specific supplier of parts for most of their repairs, and in return the auto parts suppliers will cover the cost of any warranty work should it be needed. Like with many things, you’ll need to show a receipt to prove you had the inital work done in the first place. Always keep receipts from repairs in the glove box when you’re going away from home. Much like with doctors or car dealerships, if you go outside the certified warranty providers, you’ll probably have to pay. Always call the 1-800 number given to you when you break down away from home to make sure you go to a shop that can provide you the proper warranty work. The number can usually be found at the bottom of your receipt. If you werent given a 1-800 number, call your local shop back home and have them give it to you. If you go outside of network, you may have to pay for work and there is no guarentee you’ll be covered. Don’t take that chance! This also goes with any rental you may need – don’t assume any rental car company of your choice will be covered. You may have to go through a specific company like Hertz or Enterprise. Be sure to ask the serivce provider to see who is covered. 3. Check to See How Long Your Warranties Last. Some warranties last 12 months/12,000 miles, some last 10 Years/100,000 miles, depending on what is being provided. Be sure to check and see how long yours lasts. 4. Remember a Indpendent Shop’s Warranty won’t Void a Dealer’s. In the United States it is the law that car manufacturers honor warranties they offer. If you bought a car in June and it has major issues in July, don’t let them tell you “no” because you have had services done at local shops. It is not true. You’re covered. Not too long ago the United States Government proposed a 25% tariff on imported auto parts. The general idea behind these tariffs is to encourage domestic automakers to manufactuer their parts in the United States, and encourage foreign automakers to build plants in the United States to create jobs. While we’re still unsure if this tariff will actually happen, both car and parts manufacturers believe tariffs could cause huge changes in pricing in the “short run” both for new cars and for general automotive repairs on the ones you already own – even for domestics. You may be thinking “I drive a Chevy/Buick/Ford/Dodge, etc., those are American, why would their parts cost more?” Simply put, because there is no such thing as a 100% American Car. According to Cars.com, 2017’s most American made vehicle was the 2017 Jeep Wrangler, and it was only 74% domestic – which means that more than quarter of the vehicle’s parts or labor involved in the build came from elsewhere. Another example is General Motors. GM is distincly American, but not everything they sell is. Ever since their aquisition of Daewoo and renaming it GM Korea, General Motors has built a slew of vehicles overseas and imported them to the States. The Chevrolet Spark EV, for example, is built in Changwon, South Korea and uses minimal American parts, dispite being a product of the Detroit automaker. Many sedans that Chevy sells are just rebadged Holden vehicles, an Austrailian automaker GM owns. This also happens to work in reverse – many Japanese cars can qualify as “highly American.” Honda Ridgeline was the 4th most American vehicle according to the Cars.com list – It is built in Alabama with many American made parts. Honda has even exported things it’s built in the USA to Japan, like the K20C1 engine it uses in it’s Type-R Civics. Almost every vehicle on the street, American or not, uses some American and some foreign parts. When it comes time to replace those foreign parts, the cost will most likley be transferred to the consumer. Everyone – Dealer, the auto parts store, Mom-and-Pop-Shop and the DIY dad who works on his car every Saturday could pay more. Dealers, who install parts built directly by the manufacturers will take a large blow in price since their foreign parts are imported from their own factories, but local independent shops and your local auto parts stores will too, as many aftermarket parts manufacturers outsource. According to the journalism site Automotive News, The companies behind the North American branches of Michelin, Sumitomo, and Cooper, sent joint letter to the Commerce Department warning that higher tire prices could cause consumers to wait too long and cause an uptick in tire-related accidents. Long story short – parts won’t be cheap for anyone. Labor rates accross the board should remain the same, but don’t be suprised to pay more for car repairs, even if you do it yourself. 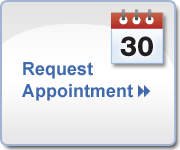 If you have any questions about auto repairs, pricing, and general automotive issues, feel free to call us at 704-545-4597. P — stands for “passenger.” This is the Tire Type. Tires with “P” on them are designed to go on passenger vehicles — usually sedans and some light unibody SUV‘s. Another thing you may see is “LT” (Light Truck) — this is usually put on big trucks like F350‘s and some body–on–frame SUV‘s. 245 — is the Tire Width in millimeters from sidewall–to–sidewall. This area generally encompasses all of your tire‘s tread. In our example, 245 means 245 millimeters. R — is the Construction. In our example we have a “R” tire — a radial — which means the tire layers run radially across the tire. Almost all tires on the road use this structure, but you may also see crossply style tires. 16 — is the Wheel Diameter in inches. This is a simple measurement of the size of your wheel (sometimes called a rim) and in our example, the wheel size is 16 inches. Lets not play games, folks – we can pretend, we can say it’s not a big deal, but that does not shield us from the truth – gas is expensive! Saving at the pump is crucial now more than ever. Here’s some simple, easy-to-do tricks to increase those MPG’s. Weight Reduction sounds complex, like something someone trying to shave a tenth of a second off their lap time at Charlotte Motor Speedway would do, but it’s actually easier than you think. Those of you who have a second home in their trunk or a nice heavy toolbox on their truckbed should consider removing anything in or on the vehicle that isn’t important. This can include things like gym bags, electronics, or tools you have not used in forever. Now, I am all for solid takeoff times – After all I used to have a Challenger I ran at the drag strips when I lived in Florida – but you don’t have to pull off of a red light guns blazing. A gentle approach to your desired speed is better for your wallet. This also applies to merging onto the highway. Remember, those on-ramps are designed to get you up to the speed limit before you actually hit the highway, there’s no need to floor it down one. This one is a bit tricky, because doing spark plugs just for the sake of doing them is meaningless if you don’t need them. It’s worth considering if you are having severe fuel economy issues, but if the plugs are fairly new, there’s no sense in replacing them. As with many things, check with a professional first to avoid unnecessary spending. Sitting in a parking lot, waiting in a long drive thru line, stop-and-go traffic… If you find yourself in any of these situations on the regular, you’re burning gas at a horribly fast rate. So the next time you want to wait in line for your mocha frappuccino, consider parking and walking in. If you visit Costco, BJ’s, or even some Walmarts that sell gas, buy it. It can be 20¢ cheaper sometimes. We haven’t bought gas for our company van anywhere else since just because of that. If you prefer traditional pumps, check out phone apps like GasBuddy. Apps like these show you the cheapest gas near where you are, whether you’re here at home or 1000 miles away. As always, if you have questions about your car’s fuel economy, feel free to call Manchester Auto and Tire of Mint Hill at 704-545-4597, email us at kenmanchester1@gmail.com, or message us on Facebook at facebook.com/ManchesterAutoandTireOfMintHill. State inspections are a staple of North Carolina Car Ownership, and you’ve most likley been through the process of getting one before. If you want to keep your visit short and sweet, try to avoid these common mistakes so you don’t have to spend extra time trying to pass. All vehicles are required to go through a safety test. Vehicles model year 1995 and older, as well as vehicles less than three model years old and with less than 70,000 miles, require a Safety Only test. This test is $13.60 ($23.60 with window tint), and cannot have sales tax applied to it. This test covers all safety components such as brakes, headlights, wipers and tires. Common Fail Methods: Bald Tires, Non-Functioning lights, Aftermarket Lights. Tires cannot go below 2/32″ at their worst point. So even if the inside of the tire looks brand-new, if the tire has worn improperly and is below 2/32″ at any point, it fails. Turn signals (with the exception of the rear turn signals which can be red and part of the brake light) must be amber in color. even if they function but are not amber, they fail. All headlights, including high beams, must function, even if you only drive during the day. Sometimes high beams burn out, and you may not even know because you only use them on occasion. As always, check before you go to the test! Aftermarket lights are cool, but unfortunately fail every time If it didn’t roll off the assembly line with them, the vehicle fails. That means no aftermarket LED headlights and no underglow. Many shops are petitioning this rule though, so don’t give up hope yet, tuners! Vehicles model year 1996 and above, with the exception of vehicles less than three model years old and with less than 70,000 miles, require a Safety & Emissions test, which is $30 ($40 with window tint) and cannot have sales tax applied to it. Safety & Emissions have all aspects of the Safety Only tests, as well as common emissions checks such as checking to make sure OBDII functions are not imapred, that vehicles have not had emission components tampered with, and that the vehicle does not have a the Malfunction Indicator Lamp (Check Engine Light or CEL for short) in the “on” position. Common Fail Methods: CEL on, Non-functioning CEL, tampered emissions components. Removing emissions components, like “Straightpiping” a car (removing the catalytic converter for a mean, deep rumble) are immediate fails. When the car’s key is in the “on” or sometimes the “acc” position, most dash lights come on – they do this so you can check to see if the bulbs are still good. If the CEL does not illuminate here, the vehicle fails. Check Engine Lights on vehicles that qualify for emissions tests cannot be on for any reason and still pass said emissions tests. Any vehicle with a CEL fails, even if just for a loose gas cap. Have it checked first! In North Carolina, window tint can only be as dark as 35%, with exceptions being made for medical purposes. On cars, every window applies. On SUV’s, Trucks and everything else, only the front two have to be 35%, the rest can be as dark as desired. The windshield on any vehicle cannot have tint pass below the “AS1” line (check on the driver’s side of your windshield about 1/5 of the way down, you’ll see a small “AS1” printed.) Again, this can only be at most 35%. Any state inspection where tint was tested is required by law to have a $10 window tint fee. On most vehicles, the back windows are already darker than the fronts off the assembly line. While 35% tint on the front may make those windows 35%, it may make the rear ones 30% or 25%. When tinting rear windows on vehicles that have their rear windows tested like sedans, remember – use lighter tint on the rear! Auto Repair in Mint Hill – How to Keep Up With Recalls and See if Your Car Has Been Recalled. Recalls are a dime a dozen. Sometimes recalls are issued in small batches, like when Volkswagen recalled just 250 cars earlier this year, and sometimes they’re huge, like when Takata had 35-40 Million inflators recalled by more than a half-dozen different manufacturers including Honda, Ferrari and Fiat-Chrysler Automobiles. While quality control on today’s cars are, for the most part, better than vehicles of the past, no company is perfect and recalls happen. This ultimately rases one big question; “How do I know if my car was recalled?” Fortunatley, theres many ways to check. If the manufacturer of your vehicle has a current address for you, they can send you recall info right to your mailbox. This isn’t the most reliable source, however, as mail delivery can be inconsistent, and you even getting a recall letter is entirely dependent on the manufacturer having a valid address for you. Major recalls, Such as the Takata Airbag recall, usually make national news, and recalls that effect certain geographical areas, like recalls for salt corrosion issues, usually make local news. Again, this isn’t the most reliable method since some recalls are small in nature, you may not see a recall for your vehicle in the news. Unlike nightly news, magazines and websites based around the automotive industry rely on recall information to reel in readers. Some popular ones include Motor Trend, www.autonews.com, and Car and Driver. Again, these sites and mags may not run info on small batch recalls, but can be earlier in reporting than non-automotive focused sources. The National Highway Traffic Saftey Administration, or NHTSA, has an option on their site for checking if your vehicle has been recalled. You can check most accuratley by entering your vehicle’s 17 digit Vehicle Identification Number (VIN) which can be found under the windshield, on the door or door jam, and on your registration card. There’s also some other cool tools there like a tire-brand safety checker. This is ususally the best source because it finds recalls based on your exact vehilce thanks to the VIN tool.